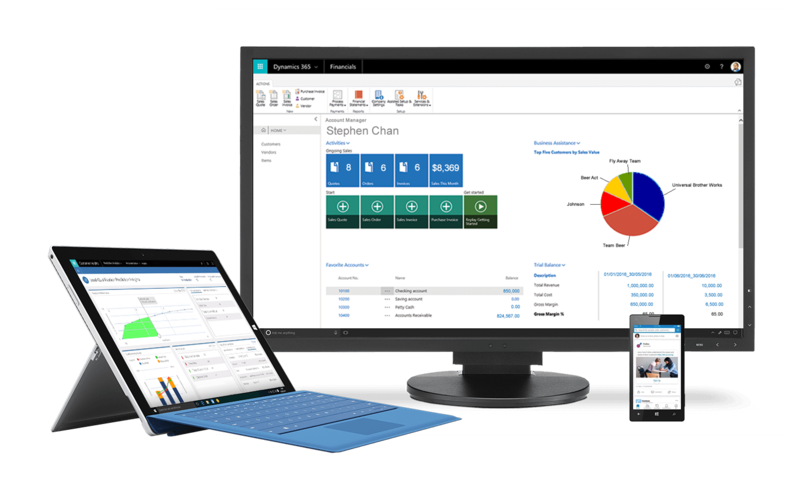 Microsoft Dynamics 365 is the next generation of intelligent business applications that can meet your unique needs by offering on-premises, hybrid or complete cloud business application solutions. These end-to-end applications can help you to accelerate your business process and increase productivity of your employees through managing your Sales, Retail, Customer Service, Field Service, Project Service, Finance and Operations, Talent and Marketing on the single platform. By combining the capabilities of Microsoft CRM and Microsoft ERP, it brings the whole new experience to you!